Northern Joinery, based in Whitworth, Lancashire have been awarded an LBGF grant of £46,614. 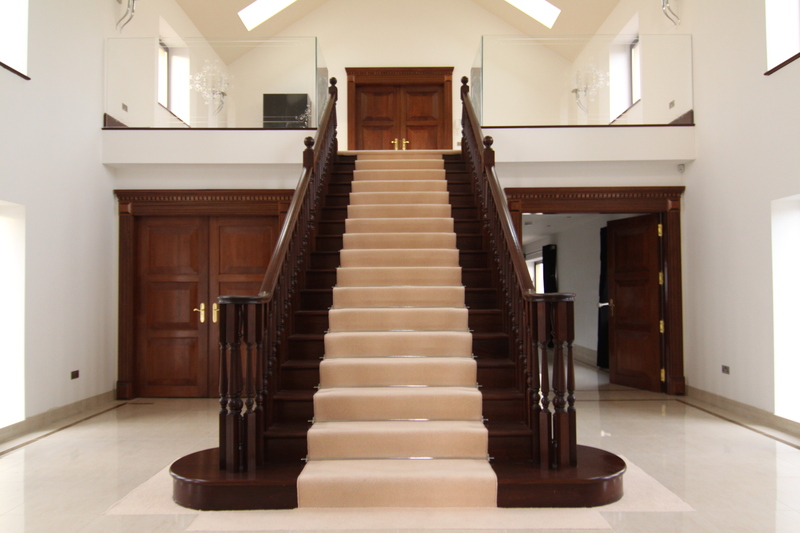 Northern Joinery is one of the country's leading quality staircase manufacturers with considerable experience in the design and manufacture of timber staircases. The company approached Lancashire Business Growth Fund (LBGF) about funding to grow their business further. They were looking for funding towards the purchase of machinery and building work. The total investment of £233,070 will allow the business to invest in a Reichenbacher 5 Axis CNC machine and an Image projection laser. The project also includes building work, electrical installation, dust extraction and tooling. Once completed the project will culminate in 6 new jobs created and 3 jobs safeguarded. Mandy Lockett, International Business Director of the East Lancashire Chamber of Commerce said: “The aim of the project is to support local businesses, like Northern Joinery, with their growth. This investment will help finance new machinery and create new jobs. The programme, launched by the county’s two accredited chambers of commerce – East Lancashire and North and Western Lancashire – in partnership with Regenerate Pennine Lancashire, is intended to create 600 new jobs and safeguard a further 200.